Mobil 1 Sussex Racing has a range of Sponsorship opportunities available. Our 2018/19 Sponsorship Brochure lists the range of packages that are available for businesses to get involved. These packages aren’t limited to those listed and tailor-made packages are also available. These can include discounts on goods or services in exchange for perks listed in this brochure. To discuss anything related to Sponsorship please contact our Commercial Director, Jan Jagoda. 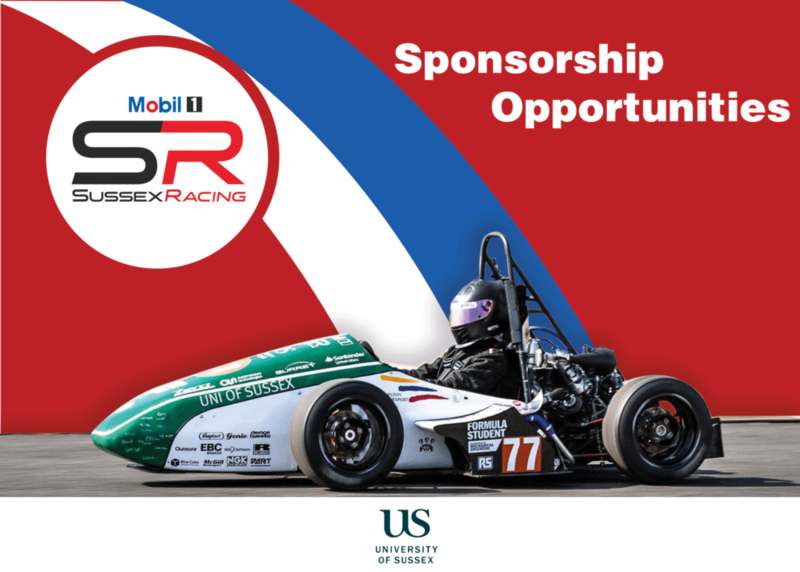 Donations to the Mobil 1 Sussex Racing can also be completed online via our NoseCone Club page.